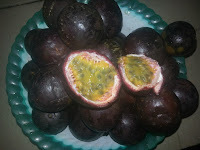 Passion fruit is a sweet fruit that is largely made up of seeds. It grows in warm climates all over the world. Passion fruit has so many health benefits which are attributed to its numerous nutrients. Potassium is a very important mineral needed for proper growth and functioning of our body, especially the cardiovascular system. Foods that are rich in potassium have been recommended for the reduction of high blood pressure. 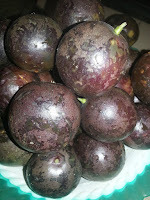 Passion fruit contain anti-oxidants which help in eliminating free radicals. Free radicals are responsible for changing the DNA of normal healthy cells, making them cancerous. Vitamin A, which is found in passion fruit is very essential for maintaining a healthy eye by preventing macular degeneration, night blindness and cataracts. Fiber is an essential component of our diet because it softens our stools and aids in bowel movement. Therefore, those who are suffering from constipation can eat fruits rich in fiber such as passion fruit. if you want to have a beautiful skin naturally without spending too much on cosmetics, you should eat fruits that contain Vitamin A because it is needed for cell growth. This goes a long way to maintain a healthy skin and prevent premature aging.